This was the last day we thought things were going to be all right. It was a blistering June in Orlando 2014. Until that day so many things were going right. She was in perfect health in spite of her Acute Lymphoblastic Leukemia diagnosis in January. 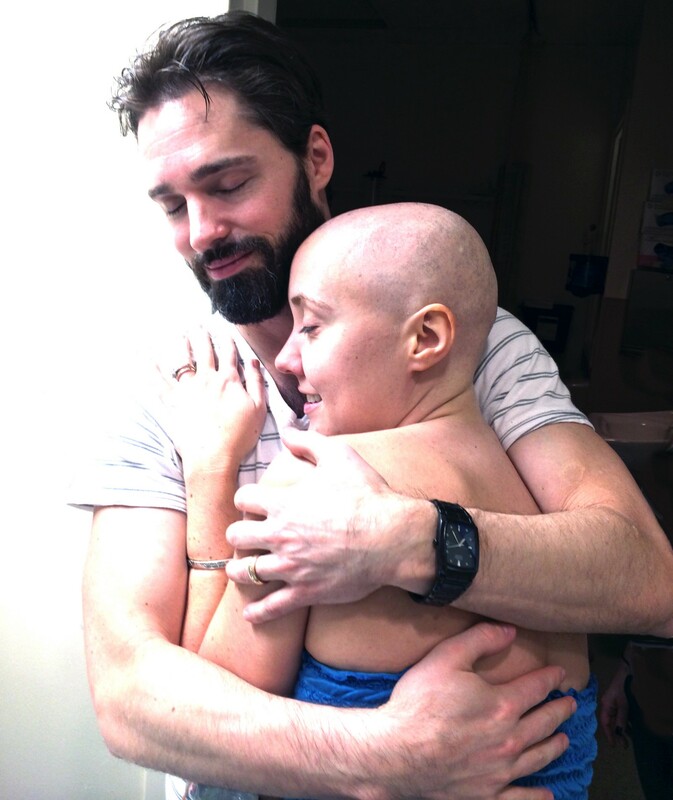 She was in perfect health for a hairless 30 year old with blood cancer, dozens of transfusions, emergency in vitro hormone injections and several rounds of potent chemotherapy pumped into her over the last few months. She was full of laughter and life. The nurses and doctors loved her. She never spent a single minute alone in the hospital. She was constantly surrounded by love and support. Her startup makeup company we founded together was finally starting to get back on track after unimaginable effort. My startup web agency was treading water in spite of my physical absence. Both our teams were in good spirits even though the owners had been working mostly from the hospital for months. The community fundraising efforts were saving us from personal catastrophe. Michele and I were both in tears of gratitude many times because of the charity of others in our darkest hours. …when it all came crashing down. The “normal” life we’d had for the last two months tumbled down around us on June 9th, 2014. Dr. K started asking us if Michele had been taking her chemo pills every day. She had. He replied that there may be a problem and he needed to look at the blood test results more closely. The ten minutes we waited were the longest minutes our lives. We were scared and just quietly looking at each other, holding hands tightly. Michele has relapsed within weeks of going into remission. The experimental drug isn’t working. The leukemia is back. The news is devastating. He told us they were scheduling emergency chemo, she was going back to the hospital, this time perhaps for months. This time perhaps for the last time. She needed an emergency bone marrow transplant. She was crying hysterically. My heart was a cramping block of ice in my chest. She was afraid to ask the odds. She never wanted to know, and perhaps didn’t care. All she knew was she was going to fight. I spoke with Dr. K outside the room in hushed tones. I asked him what the “prognosis” was. It’s a word I learned that basically made doctors tell the harsh truth. Even now, two years later, these words are hard to write. More to come another time.